Haryana Staff Selection Commission HSSC inviting application forfilling up the 2994 Vacancy of the Insect Collector, Dispenser,Pharmacist, Sister Tutor, Staff Nurse, Craft Instructor Stenography,Computer Operator, Computer Instructor, Agriculture Inspector and other Various posts. Candidates Can apply through Via Prescribed format of application on or before 08th Aug, 2013. Further details of Haryana Staff Selection Commission Recruitment 2013 is mention below. 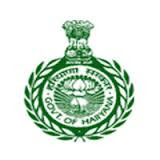 Haryana Staff Selection Commission (earlier Subordinate Services Selection Board) is constituted as per the proviso of Article 309 of constitution of India, vide Haryana GovernmentNotification No.523-3GS-70/2068, dated 28.01.1970. Through it was granted statutory status of Haryana Staff Selection Commission vide Haryana Govt. Gazette Notification dated 28.02.2005. Age Limit : Age should be between 17 yrs to 40 yrs. Qualification : 10+2/B.Sc. or equivalent according to post details view notification. Last Date of Receipt of Application : 08-08-2013.